Whatever the truth about Flagstad and her husband's relationship with the Nazis, it is foolish to blame Melchior after a Nazi-inspired war in which fifty million people had lost their lives. People tended to think rather differently then not having the luxury of a 70 year time lapse. Followed by Sawallisch Bayreuth 1958 (5th position). Almost no difference. Although being a long opera, many TUI performances from the 30s felt even more rushed than a Lohengrin. To take advantage, I also dropped a few OperaDepot in stereo from 1972 like Mehta in Rome and Karajan in the Salzburg premiere of his later acclaimed production with Vickers and Dernesh. However, these weren’t really brilliant vocally and the sound quality of this broadcast was annoying. I can only be thankful for the Mehta free download because the sound is pristine and with no cuts. Every detail of the orchestration is there. The problem is that the famous Böhm 67 recording with DG exists and shows almost the same. 1930s: Flagstad and Melchior are the protagonists. This is troubling because all Markes and Brangänes are mere furniture. They never shine. There are two Covent Garden recordings, the Reiner 1936 for HMV and now remastered by Naxos that is recorded in various live sessions in close microphones, so there is no sense of space or representation. However, there are ways to overcome this issue and Bodanzky in the 1937 matinée broadcast finally does it. The Andromeda remaster of the Covent Garden Beecham recording in that same year feels more natural, but this time I end up missing the clearer voices instead of so much white noise. The culmination of so many duets Flagstad-Melchior is the Erich Leinsdorf broadcast from the Metropolitan in 1941, with more mature singers and better soundscape that enables to appreciate the conducting layers. There are two negative remarks. Leinsdorf’s conducting and a bored (not boring) Melchior. This whole recording lacks excitement in Acts II and III but totally works out in Act I, imposing all the dark layers for Isolde that were missing in the Bodanzky broadcast. 1940s: This decade is a mixed bag in the years that Flagstad and Melchior stopped singing. More than in the cast, there are more issues in the sound. The Robert Heger 1943 performance in Berlin is the exception. The secondary casts are more able to play a major role. In Berlin 1947, Furtwängler could have given us a great recording, but we’ll never know because to have the proper context in the recording we need Act I. His live recording doesn’t have it. Terrific Act II overture though. Very close in this decade, I needed to skip the 1951 Scala broadcast of Victor de Sabata because it reminded me of those Covent Garden recordings in the 30s. 1950s: Outside Bayreuth, there are many worthy recordings. However, some of them have something special that only makes me focus in the other flows. The Bayerischen Staatsoper 1950 production with Hans Knappertsbusch is a TUI with Hans Knappertsbusch. Barely anything else. He is the one who lifts everything despite a bland, thin cast. In the same place in 1952, Erich Kleiber is one more of the quite decent team behind this recording. Nothing competitive can come out here. Even stylistically it’s questionable in the singers. The Reiner Metropolitan broadcast in 1950 is quite ordinary with a fine Ramón Vinay, who would later become one of the best Tristans of the decade, probably even above Windgassen. I think that many of his performances are really accurate in the voice tone and strength. We don’t talk now about the extraordinary Wiener Staatsoper broadcast in 1956. Later, later. In Bayreuth there are memorable performances, both in the top 10: Karajan and Jochum 52 & 53. In the final reviews there are more details. 1957-72: The reign of Birgit Nilsson leaves many broadcasts orphan, especially 1959 and 1962 of the commercial releases and some like the two OperaDepot in Vienna 67 and Rome 72. The Vienna recording has Jess Thomas as Tristan and honestly he is the main interest of the recording. The disadvantage of this reign was that once I had listened to the 1957 Bayreuth premiere, with that voice, nothing could go better even if I hoped to. This recording is not the best one can hope about these singers. The problem I have is essentially that it feels like an eternity. However, Andromeda deserves props for the remaster. The monaural sound helps Jochum. 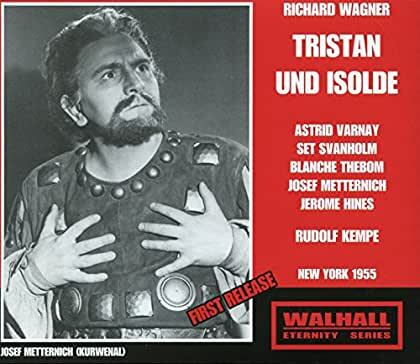 From 1952 we still have Malaniuk’s Brangäne and Vinay’s Tristan, who signs an excellent Act III. Unfortunately, Jochum doesn’t add up anything, and Varnay has a much better performance two years later in the Metropolitan led by Rudolf Kempe. Because this was rejected for the better-recorded Bayreuth premieres, I felt pity for this broadcast. I would say that this sounds like Heavy Metal. I love when the loud parts burst the microphones and make everything explode. It reminds me of Furtwängler. It’s like vintage, emotional, historical. The singers are quite similar in quality to Sawallisch 57. I still do not see Hans Hotter at any role in this opera, not even King Marke. And Neidlinger and Windgassen boost up Act III and generally the performance. Never a first choice, but a pleasure to listen. Varnay as Isolde Part II, and the triumphant. Compared to other rivals it's not of my taste, but she delivers the best she can. Act I is lifted up by her unique voice. Almost no one else can do it. 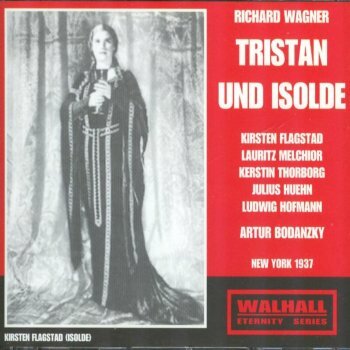 Svanholm's Tristan is suitable for the Isolde but generally under her shade, quite fine in Act II but whiny in Act III. Nice. Easily my pick for Flagstad-Melchior. Their most tender performance without boredom. The noise floor exists but it is bearable. This is a matinee Broadcast so the voices are clear, but the most shocking feature is Bodanzky’s fast, intense, never rushed conducting that speeds up the love-making of Act II and creates passion. The secondary cast, Kerstin Thorborg (Brangäne), Julius Huehn (Kurwenal) and Ludwig Hofmann (Marke) have a spot with their great voices. A thrilling, mesmerizing recording from the 30s with fine sound for the age. I have mixed feelings. I agree with a TC member that Max Lorenz starts to sing it out like he would never perform again and his Tristan is in full suicide mode. It’s beautifully scary. Probably the pitch is too high and the singers, especially Isolde, seem too histrionic. The orchestral sound is exceptional for 1943, with a thrilling Act III overture. Jaro Prohaska also creates a great Kurwenal. Margarete Klose is good as Brangäne, but Paula Buchner’s Isolde seems a bit lost without Lorenz. Act I is generally quite good and Act II is spectacular in the love duet. Not to talk about mentioned suicidal-mode in a mind-blowing Act III. The duet and Tristan's act III are the highlights. Worth having and very few flaws. Two strikingly similar recordings despite their differences in the secondary cast. I would have thanked a different Kurwenal (Saedén) in 1958, but Hans Hotter strangely fit in the performance and did nicely. I could do without 1958 because Nilsson’s Isolde is slightly more refined and less intense. With 1958 out, let’s discuss the (second) performance of the 1957 premiere by Wolfgang Wagner. The sound is not what I would expect in 1957. There is a lot less clarity than in the Andromeda Jochum 53. I needed to visit all the Nilsson-Windgassen performances between 1957 and 1967 to find out that this performance is unique, irreplaceable. Two young singers bringing freshness to two big roles. Remember when I said in the studio 1960 recording by Solti that Nilsson sung like in an atonal opera? This time it was slightly the same story. The first Isolde lines are usually annoying, but this young Nilsson magnifies the effect. Eek. Nilsson grows in the opera and from Act II Scene I she is faultless. Incredibly intense. Windgassen is very good as a young Tristan although it can seem that the role is too big for him then. The combination cannot be better and that energy is used by Windgassen in Act III. And Nilsson becomes herself in the Liebestod. Not my pick for the couple, considering mono and stereo competitors, but a worthy listen. I listened to this from Orfeo, and unfortunately the sound is not ideal. My complaint is that it wasn’t as exciting as many had told. Failed expectations. Also… what is Hans Hotter doing as Kurwenal? I didn’t like at all. However, the conducting and singing has top quality. Except for Kurwenal, this recording is not only flawless. This one and Furtwängler are the only two ones that share a sense of art in the product. Vinay is really suitable for Tristan, London for a mourning King Marke, and Malaniuk for a silky and fearlul Brangäne. Mödl has a special quality, she is the star. The biggest surprise of the challenge. Except for the decent Rudolf Lustig Tristan, this could not be better sung. The sound quality is beyond words. It sounds better than any recording here, saving Furtwängler in Studio. A lot of string weight, incredible cleanness, wow. This is the Isolde of the long name: Gertrud Grob-Prandl, so I could say GGP, who strangely had a similar voice with Milinkovič’s Brangäne. They both sound like Gundula Janowitz. GGP is amazing and lifts Act I above anything imaginable except my two favourite stereo recordings. In comparison with her, it seems that Rudolf Lustig is saving energy, but Act III shows that it is just a shortcoming. He can only cope with the level in Act III when he is not competing with Isolde. They have a relaxed love duet in Act II and we are delighted with Kurt Böhme’s Marke. All of this, remember, in pristine mono sound. Cluytens should be also congratulated for his conducting, especially during Act III's overture. A recording that Sergiu Celibidache would sign. 4h15m. The concept of an extremely long recording is mesmerizing thanks to Furtwängler and the cast. But my complaint is that he seems more enthusiastic in tasting every note of the score than sharing emotions. It sometimes seems like an eternity, especially Act II. The sound is way better than Karajan 52, and benefits the Brangäne solo in Act II. They share the uniqueness of the voices and conducting, in very different styles. Here, the cast cannot be beaten. Dietrich Fischer-Dieskau as a youthful heldenbariton Kurwenal is decisive (remember an elderly Hotter in the same year). He sings like a youthful and imposing, never a soulful Wolfram. For the lovers: Flagstad sounds adult, but never matronly. Her voice is suited for Isolde and achieves an intensity that only Nilsson can equal. She is only a bit drowned in Act II and the liebestod is spectacular. And Suthaus leaves apart the Siegfried character and sings in Act III serenely, a term that Lauritz Melchior seemed to ignore in his vocabulary. Suthaus manages to forget boredom in Act III and delivers a contemplative Tristan, flowing with the slow pace. This has never been repeated. 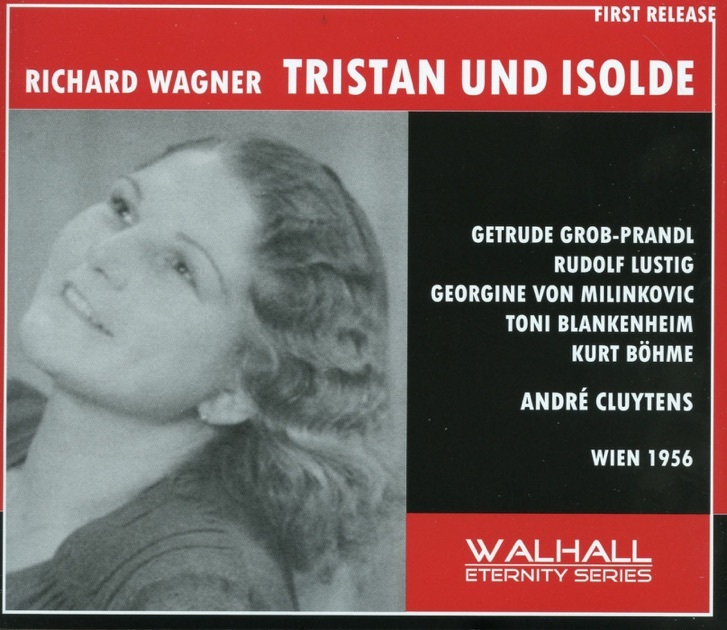 I think only Furtwängler can make me doubt if my favourite Tristan is Barenboim or Karajan 72. These three, plus Cluytens Vienna and Karajan 52 would be my other two purchases. Those complete my overall top five for this opera. I advanced in HWR that I would move forward the Parsifal episode and leave Meistersinger and the Ring for later. I’m currently through my third Parsifal finishing Act I. Last edited by DarkAngel; Dec-27-2017 at 03:31. Did I read somewhere that you have a subscription currently for Pristine XR website, did you compare Pristine to the stock EMI/Warner release? Are you a fan of Pristine XR? I don't have it yet. I've been posting several times my intention to pay for one month of Pristine Classical Streaming so I can review the Furtwängler and Krauss Rings, plus the Kempe and Jochum meistersingers. I would have done it in a week, but it happens that I will be more busy within these two weeks for an exhibition I'm organising at University. Because time flies, I cannot allow myself to waste days of a monthly subscritpion. That's why I moved forward Parsifal, because they have a lot of releases and when the exhibition is done I will probably be about to finish that episode too. How many hours a day do you listen to music, that is insane amount of material to cover so fast. An insane amount of time. It can be quite boring to listen to two TUIs every day while drawing on cardboard and cutting shapes. The Nilsson-Windgassen series was testing my patience. 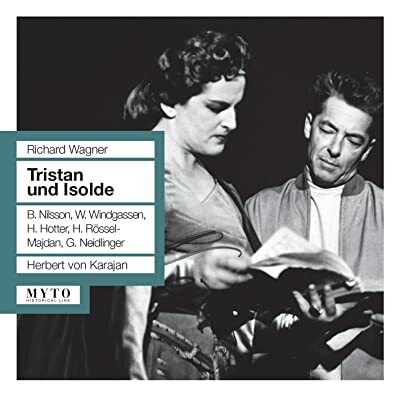 There was always an interesting combative relationship between Karajan and Nilsson although they worked together int the theatre on Tristan and Isolde. Christa Ludwig once said that the actually sound Nilsson made ('not particularly rounded') was not Karajan's tipple. And she added: "And as she [Nilsson] had quite a mouth on her, it was never going to be a marriage made in heaven!" Unfortunately John Culshaw chose the (then) inexperienced Solti rather than Karajan to conduct the Decca Tristan with Nilsson. Last edited by DavidA; Dec-28-2017 at 22:15. O don't think the superb (to my ears) Vickers/Dernesch recording would have happened had Karajan been appointed to a Nilsson Isolde + random Tristan in Decca contract. Anyway, not only Fritz Uhl deserved criticism in that frustrated try. That was a sweet vengeance by EMI on Decca. 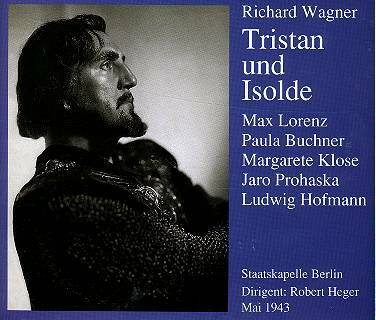 My three favourite Tristan und Isoldes interestingly belong to the Warner Classics catalogue (Furtwängler, Karajan and Barenboim). Last edited by Granate; Dec-29-2017 at 10:10. If Tristan was your key character in Tristan und Isolde, which would be your favourite interpretation of the character on CD? Would it be balanced with other great singers? Thanks to Granate's recommended top ten I've added the '37 Bodansky and the '56 Cluytens to my ever expanding list of Tristans. Thanks for that. See you in the madhouse!! Btw, I love the idea of Brünnilsson!! Last edited by Barbebleu; Jan-17-2019 at 15:05. If Tristan was your key character in Tristan und Isolde, which would be your favourite interpretation of the character on CD? It'd probably be Melchior, in one of the live broadcasts with Flagstad. He really wasn't at his best for the Furtwangler recording. He was seriously overworked after WW2 - I'm guessing that he might have been just about the only legitimate Wagnerian tenor not tainted by association with the Nazi party (according to Wikipedia, he refused to join), unlike, for example, Max Lorenz. Suthaus was in much better voice in a live broadcast (of a concert performance, I think) in Berlin under Furtwangler in 1947. Unfortunately, it's not complete (no Act 1 at all). He's also in pretty good shape on a 1950 recording conducted by Konwitschny, but the rest of the cast isn't particularly good (with the exception of Gottlob Frick's tremendous King Mark). That was the Tristan recording that I imprinted on in high school, since that's the only one that the local library had on the shelf. Last edited by wkasimer; Jan-17-2019 at 15:44. Lorenz, of course, had a Jewish wife, so perhaps self-preservation for himself and his wife may have had some bearing on his lifestyle choices in that horribly challenging time. Last edited by Barbebleu; Jan-28-2019 at 11:39. He was also gay--it's actually a testament to how respected he was as an artist that he survived as the premier heldentenor during the Third Reich considering his sexuality and his attachment to his wife. I think Both the Tristans on Karajan's very different recordings are really fine - Vickers and Vinay. Modl opposite Vinay strains the ear a bit but is great on characterisation. I just wish Denersch hadn't been ill when she recorded it for Karajan as it might have been even better. As it is she is my favourite Isolde. Just a mention of Domingo. Of course he never sung it on stage but I have a recording of the love duet Wagner made for concert opposite Voigt. People have cavilled at his German but he sings mighty fine! Now that I would love to have seen, Wagner singing the love duet opposite Voigt!! Although I would have thought his German would have been ok, even for a Saxon. Fultwangler/Flagstad vs. Thielemann/Voight 'Tristan und Isolde'? All times are GMT +1. The current date and time is Apr-25-2019 17:40.